Why Did Measure B Lose? What Should Irvine Do Now? Take the Surveys! The voters in Irvine recently rejected Measure B. The issue now is what, in rejecting Measure B, did the voters really decide. Sign used by opponents of Measure B, warning that passage of Measure B would mean thousands more cars on every road in Irvine. Some argue that the rejection of Measure B means that the voters said that the proposed veterans cemetery should be located at the ARDA site that was originally selected by the City Council in July 2014. Map used by opponents of Measure B, warning that passage of Measure B would lead to massive development and 10,000 more car and truck trips every day. I would like to know what you believe the rejection of Measure B means, especially if you were among the majority in Irvine who voted against it. Please share these surveys with your Irvine friends and neighbors. I would like as much resident input as possible. The surveys are now closed. While the surveys are not scientific, I believe their results are straight-forward and present an accurate view of why Measure B failed. The survey results show that the main reason people voted No on Measure B was opposition to development and traffic, rather than a desire to return the veterans cemetery to its original site. These results should not be unexpected since the No on Measure B campaign focused almost exclusively on the claim that Measure B would lead to more development and traffic (“B = Thousands MORE Cars on THIS Road!”). Further underscoring the conclusion that Measure B failed because of perceptions about development and traffic rather than preference for the original site, the survey results show that few residents are in favor of spending the $40 – $80 million required to build the veterans cemetery on the original site. The Lesson of Measures B and D: No More Developer Giveaways! The clear message sent by voters with the defeat of Measures B and D is that developers must not be allowed to continue runaway development without regard to our traffic, schools, and quality of life, and that Irvine residents must have a say in all future development decisions. I supported Measure B because I believed it would provide veterans with the best chance for a dignified military cemetery; that it would save Irvine taxpayers millions of dollars; and that it would reduce traffic congestion by restricting future development at the strawberry fields. The voters, however, did not want to risk even the possibility that it would lead to more development and more traffic congestion. In fact, Irvine residents are rightly concerned that runaway development and traffic congestion will forever change the character of our beautiful city – without their input or consent. They are rightly distrustful of developers whose bottom line is their profit, not our quality of life. I am distrustful as well, and I share the voters’ skepticism about giant developers and their motives. Developers spent millions of dollars trying to defeat me in the last election, and no doubt will do so again. As an Irvine City Councilmember, I have not voted for a single new entitlement or approved any new construction. The development that residents are now seeing all over town – from the Great Park neighborhoods to Quail Hill to Tomato Springs – was approved by prior City Councilmembers, and not by me. I have not approved any of it, and I was one of only two Irvine Councilmembers who voted against the Irvine Company’s proposed 1,960-unit apartment complex at the old Traveland USA site at the 5 Freeway and Sand Canyon. I opposed that plan because of its negative impact on traffic and schools, and I will not approve any future development without prior careful determination and consideration of its impact on our schools, traffic, and open space. As an Irvine City Councilmember, I also voted against Measure D. I opposed Measure D because I believe that Irvine residents must have a strong voice in determining how our city grows. Moving forward, I reaffirm my pledge to end runaway development. Irvine must return to its commitment to the wisdom of the Master Plan. The current piecemeal approach to development favored by developers and some members of the City Council must end. Irvine needs to return to the principles of careful planning and measured, smart growth that not very long ago made Irvine the best place in America to live, work, and raise a family. There must be no more developer giveaways. Irvine needs an effective traffic reduction plan, and not just a congestion management plan. Irvine had long been recognized as a national leader in city planning and innovation. Unfortunately, Irvine has failed to properly plan for the tremendous increase in traffic caused by the city’s explosive recent growth. As a result, Irvine residents have been forced to contend with unprecedented traffic congestion and less safe streets and roads. Our City Council now needs to do more than try to manage the traffic congestion that is already out of control. We need to say clearly that the current level of traffic congestion is completely unacceptable and must be reduced. Irvine needs more police officers. As Irvine has grown, the need for more police officers has become critical, not just for preventing crime, but also for enforcing our traffic laws, which are essential to keeping our children safe as they play and go to school in our neighborhoods. I will work to add more police officers to ensure that our residents are as safe in Irvine now and in the future as they were before Irvine began to grow. Irvine needs more childcare. We know that our great schools, beautiful parks, and safe environment attract many families with young children. We also know that a critical part of any thriving community is safe, professional, reliable, and affordable preschool and childcare. Developers must be held accountable for including childcare as part of an overall city development plan, just as they are required to build schools. Irvine must become truly family friendly. No more waiting lists! Let’s build the veterans cemetery. I have been fighting for a veterans cemetery at the former El Toro Marine Base since 2014 and will continue to do so. Our veterans deserve a veterans cemetery close to their families and loved ones. Now that Measure B has been defeated, we need to find a site that honors our veterans and is approved by Irvine residents. I am firmly committed to that task. Let’s finish building the Great Park. For far too long, the residents of Irvine were given nothing but empty promises about building our Great Park on the grounds of the old El Toro Marine Base. As Vice Chair of the Great Park, I am proud that we have finally succeeded in creating a Great Park that residents can enjoy, with terrific sports fields, a magnificent new championship soccer stadium, and the best community ice-skating facility in the West already under construction — but there is still much more to do. Our residents have told us that they want a new Wild Rivers water park, and we need to ensure that happens. We also need to fulfill our promise to build a city-owned amphitheatre on the Great Park’s cultural terrace, so that a developer’s decision can not deprive us of live music again. I will also insist that we follow the recommendations of residents and build world-class botanical gardens, museums, and a lake to make Irvine the home of a truly Great Park. Getting that job done is one of my main priorities. I love Irvine and will continue to work to ensure that Irvine remains among the safest and most beautiful cities in the nation. As your Irvine City Councilmember, I will fight to ensure that the public interest – in preventing over-development, over-crowed schools, and traffic congestion, and in preserving the character of our communities – comes before the private interests of developers, no matter how big and powerful those developers may be. Bicycling in Irvine — Great Trail System, But Where to Lock-Up? 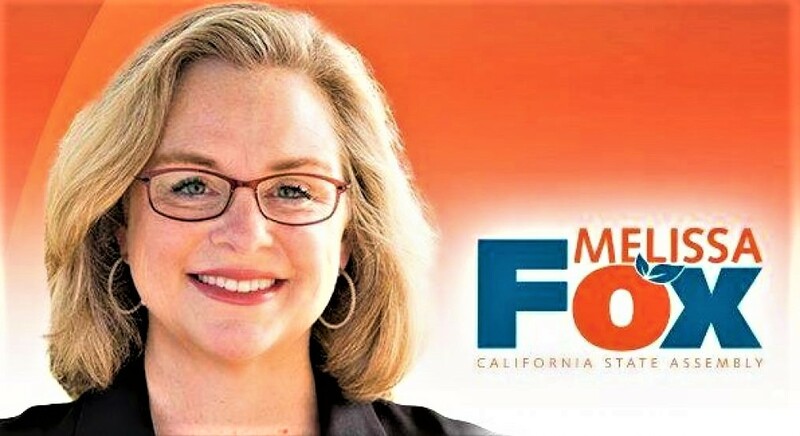 Irvine Councilmember Melissa Fox appointed me to the City’s new Irvine Transportation Commission in May of 2017. One of the missions of the Transportation Commission is to the advise the Planning Commission and the City Council on the traffic impacts of new development applications. Another task for the Commission is to work with City staff on ways to improve traffic flow in Irvine. One way to reduce single occupant vehicle trips in Irvine is to increase the amount of people who will use a bicycle for their short trips around town when it is practical. Irvine has the best bicycle trail system of anywhere in Orange County — it’s not even close. Most of Irvine’s streets have bicycle lanes. Most of Irvine’s traffic signals have video detection cameras mounted on the mast arms. These cameras detect when there is a bicycle waiting at the red light. You don’t even have to push the bicycle push button anymore if you don’t want to. In Irvine you can legally ride on sidewalks, but you must yield to pedestrians. Thus, on the few streets where there are no bike lanes, you can ride on the sidewalks legally. I ride all over Irvine everyday on my electric bike and I can get to every place in Irvine conveniently. I know there are a few streets that have no bike lanes with narrow sidewalks like MacArthur near the airport, but for the most part I can ride a bike to any shopping center, professional office building, or recreational center or park in town. The problem comes when you try to lock up your bike at one of these destinations! Many private properties with big parking lots for cars have no bike racks. I frequently have to lock up to a handicap parking sign pole or a trash can with openings big enough for my cable bike lock. Sometimes a destination will have a bike rack somewhere out of view, where no one can see the bike thief with the bolt cutters. This lack of bicycle parking often defeats the purpose of riding a bike if you can’t secure it properly. The City requires new developments to have bike racks, but these racks often disappear after a few years or are relocated to an out of the way location. I feel that if I ride a bike, I should be able to lock up close to the building’s entry, not 500’ away. The City is making efforts to get businesses to voluntarily provide bike racks near their building entries, but with over 25,000 businesses in Irvine, progress will be slow. I encourage bike riders to let the business that you visit on your bike know that well placed bike racks is the “right thing to do” on many levels (customer service, environment, health). The Transportation Commission meets the 1st and 3rd Tuesday of each month in the City Council Chambers at 5:30 pm. I strongly encourage Irvine residents to bring any traffic concerns, ideas or comments to the Commission meeting. You will be welcomed to speak at the beginning of the meeting. The full City traffic engineering staff attends these meetings and they will hear your ideas and can respond to your questions. Check here for Transportation Commission agendas. The public is welcome to speak on all agenda items as well as non agenda related comments. If you can’t wait for the next meeting, feel free to email me your questions, comments and ideas about transportation and traffic in Irvine. I will forward your comments to the appropriate City staff member. Let’s work together to improve Irvine’s traffic and make Irvine an even better place to ride our bikes! Thank you for the privilege of serving the residents of Irvine.